Those that have been paying attention and know the colors in the new Chaos Unicorn set, should know what color I would gravitate towards first. And yes once again, I love me some brown. I've no idea why I love brown so much. Why do you love your favorite color so much? A few posts ago, I had told you my betta was sick. Well he did die the next day. I went to the pet store and totally drained all the betta info out of one of the clerks there and she told me that it didn't sound like I had done something wrong. She thinks I just picked out an older betta who was going to die no matter what. So this time, I picked out a tiny baby one. Still doesn't have a name yet, am thinking Opal, but it's a he. He is white with iridescent scales and flashes different colors depending on the light. He's really beautiful and not sure of me yet. I'm told he will grow bigger and hopefully last a year or two this time instead of a few months. Crawled under my house yesterday into my crawl space. Man I hate doing that. But several times a year, the air conditioner needs to be cleaned and flushed with fresh water. I'm not paying some yahoo dude tons of money just to come do that when I can do it myself. When they installed it a few years ago, I made the guy show me how to do it to save me money. You'll know if you don't do it as the air coming out of the vents won't be cold and your house won't cool off. They are calling for high 80s this week, so I had to get ready for that. Even though it's against my principle to run the AC before summer hits, I can't be in a hot house. Oh one last thing. I bought me a textbook on Embryology. Not because I care about kids (don't have that mom gene), but because it fascinates the hell out of me that we start out as one cell and grow to be a human. How does it know to do that? How does this cell know to be a nose and this one to be a hand? Yeah, I'm seriously into learning that. All right. I've nothing else right now, let's get to the silly bottle shot. 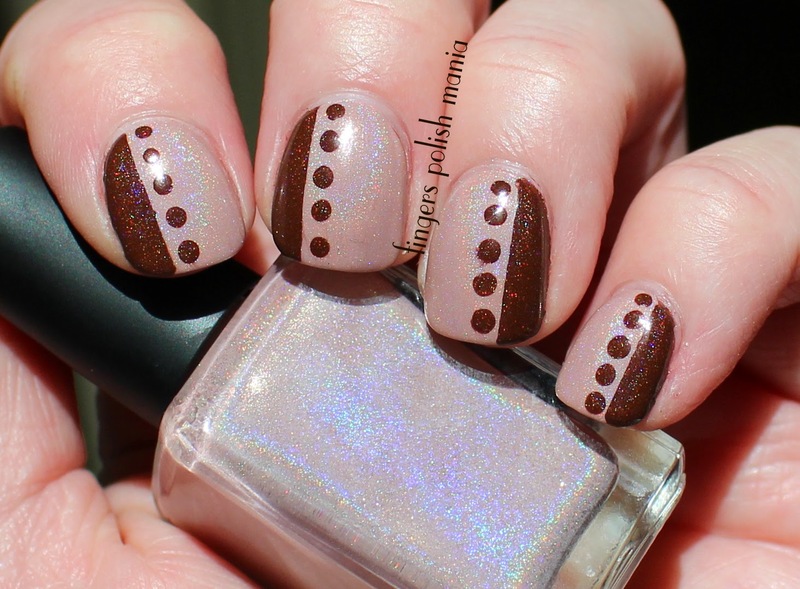 This is Enchanted Polish Hot Chocolate for Unicorns and Chaos and Crocodiles Forgotten Path. I started with all Path. 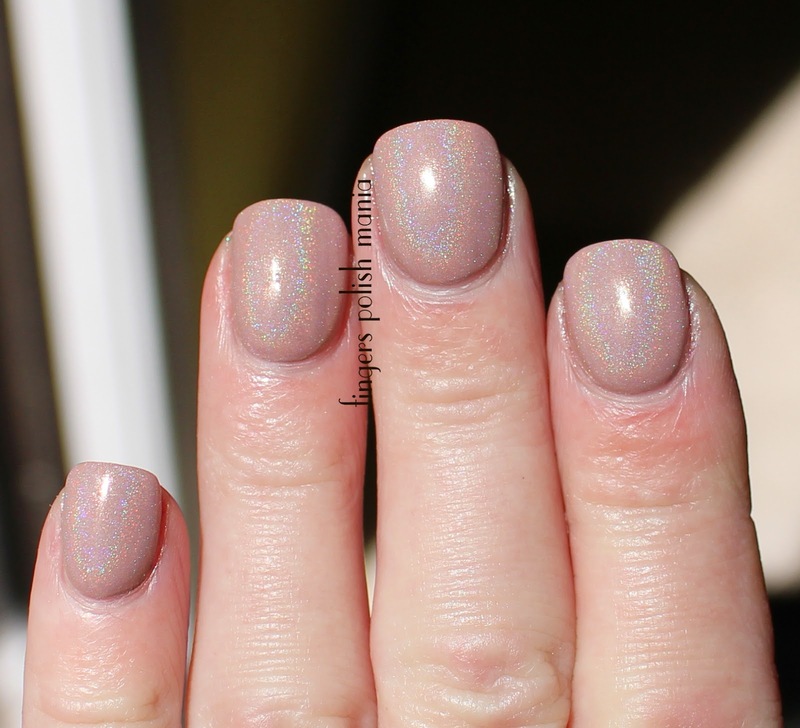 Now these are touted as light holos, but as you can see, they still show that linear awesomeness, it's just not as in your face as the Secret Agent set. I think this is stunning. Next I just did another tape and dot design with the EP. How gorgeous is this??? 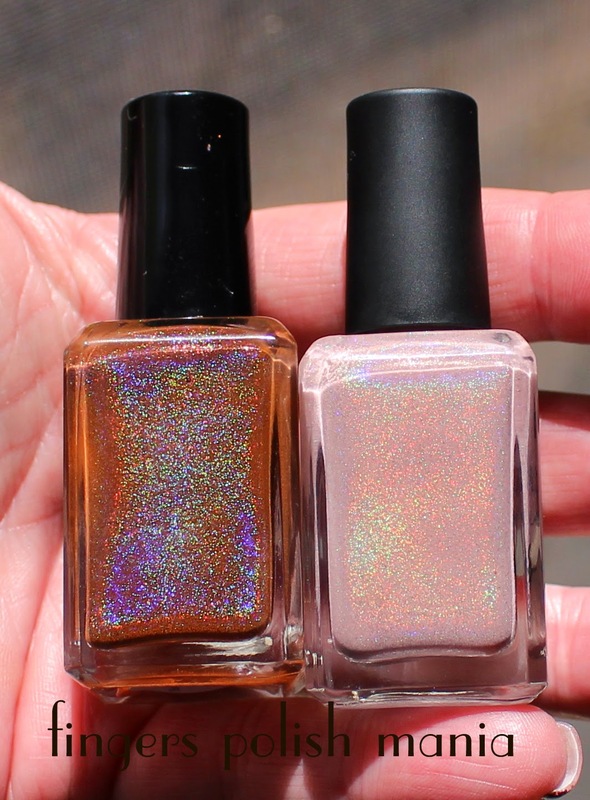 Both are light holos, both are awesome!! !